English traveler, geographer, social and political activist. Born into a family of poor parents in the village of Dragley Beck of the Yulverston parish in Lancashire. Hot love for travel and adventure has been inherent in him since childhood. After graduation, he served first at the iron foundry in Liverpool, then visited Greenland with one whale, and on his return from there he taught mathematics at Greenwich. General erudition and great mathematical ability attracted attention to him. He received the position of the personal secretary of the famous diplomat Lord George Macartney, who was appointed envoy to China in 1792. Staying in China during the years 1792-1794, Barrow used to learn Chinese and collected precious materials to study this country, which he subsequently published. After Makartni was appointed governor of the Cape Colony, Barrow made several trips during his stay in South Africa, going deep into the country. After the completion of McCartney's activities, Barrow remained in South Africa as a military and civil auditor-general. 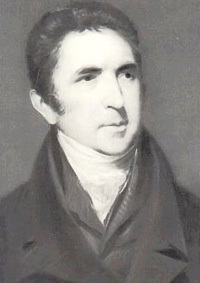 In 1804, Lord Melville appointed him secretary to the Admiralty. This post, with a short break in 1806, he held until 1845. Barrow published a number of historical and geographical works in English and German, incl. several biographies of prominent English sailors. During the reign of the Cabinet R. Peel received in 1835 the title of baronet. Leaving in 1845, the civil service, being retired, Barrow engaged in literary activities. He published autobiographical memoirs, notes on the Royal Geographical Society, one of the founders in 1830 and the third president of which he was, numerous articles and a number of books about his trips to China and South Africa, about the life of Eastern peoples, the history of Arctic research, etc. The merits of Barrow in the field of geography were expressed, moreover, in the promotion and patronage of expeditions equipped with scientific goals. He was the initiator and ideological inspirer of research on the Northwest Passage in the Arctic Ocean, as well as the search for the missing expedition of J. Franklin. He died in London. 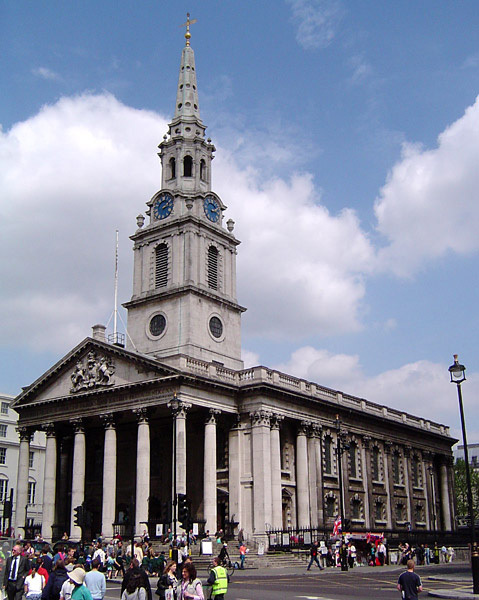 He was buried in London, Westminster, at the St Martin-in-the-Fields Cemetery. 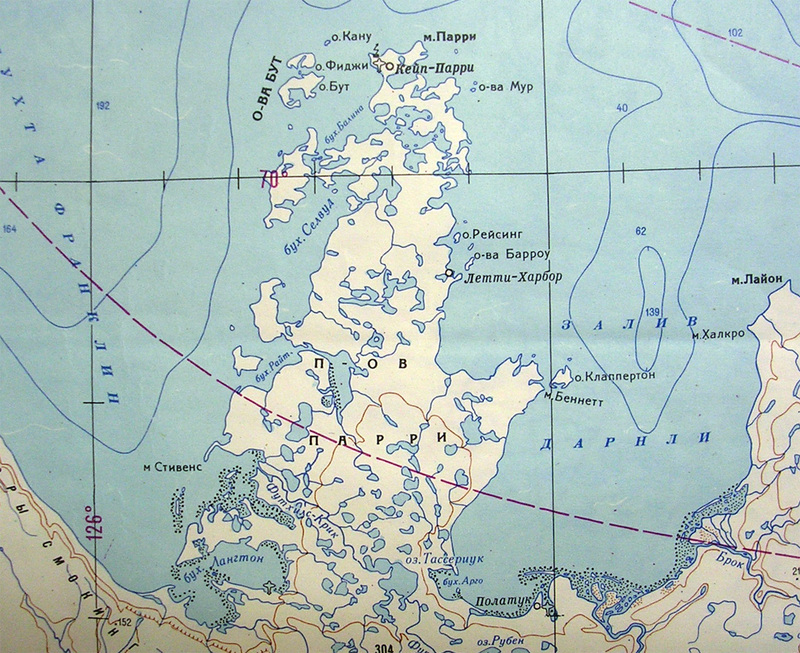 Islands east of the Parry Peninsula in the Beaufort Sea. 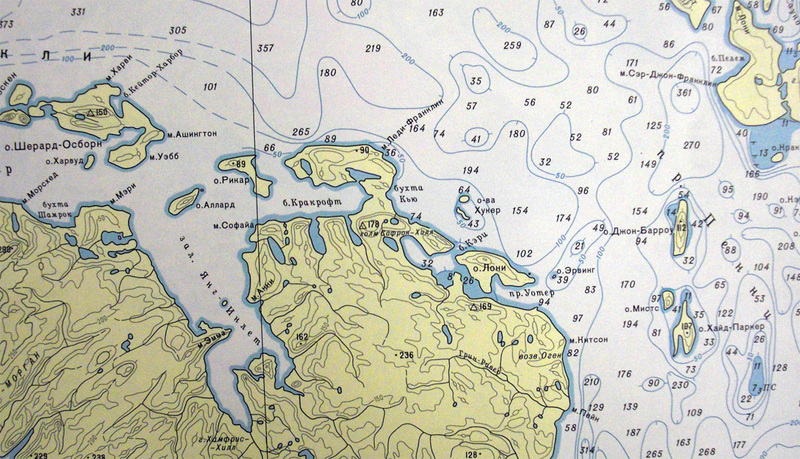 An island (John Barrow) in the Canadian Arctic archipelago between the Grinnell Peninsula and Bathurst island. 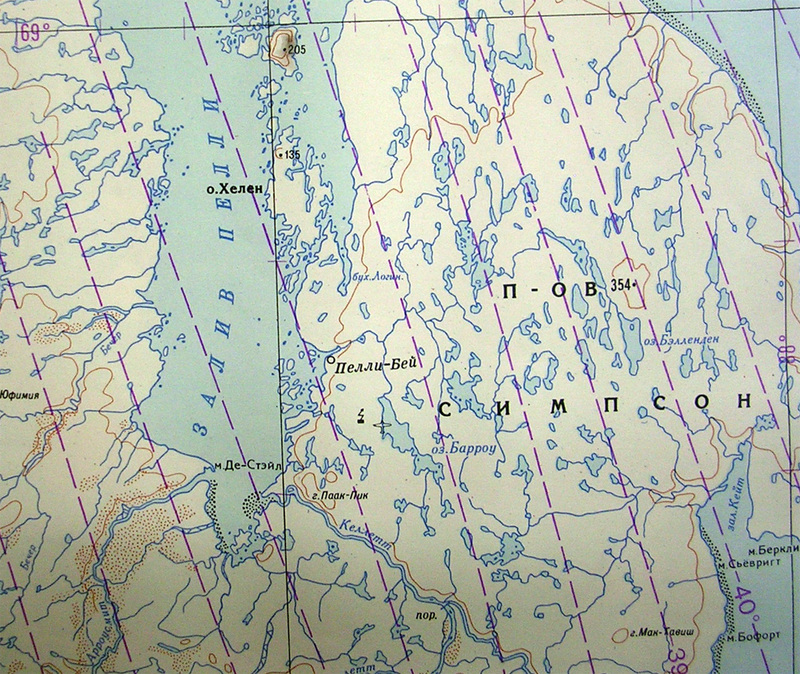 The ridge on the Sabin Peninsula Melville Island in the Canadian Arctic Archipelago. 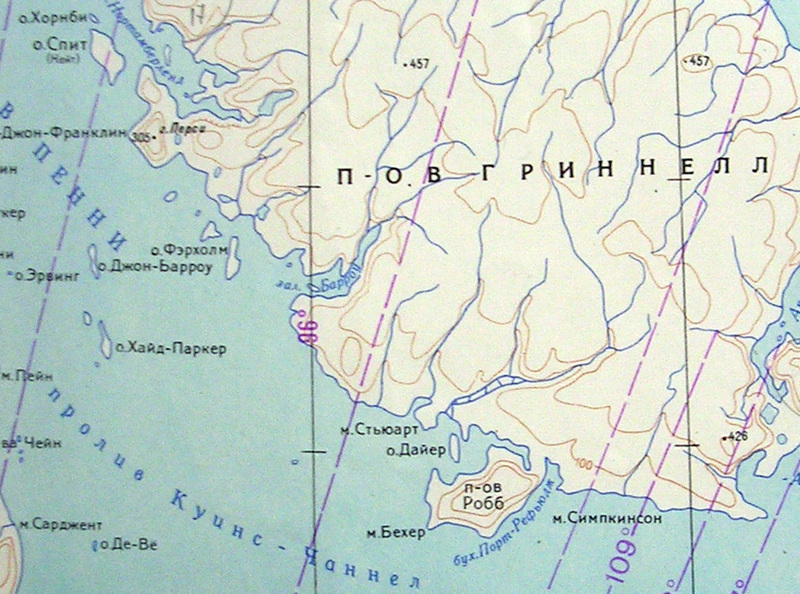 Cape in the Chukchi Sea, the northernmost tip of Alaska. 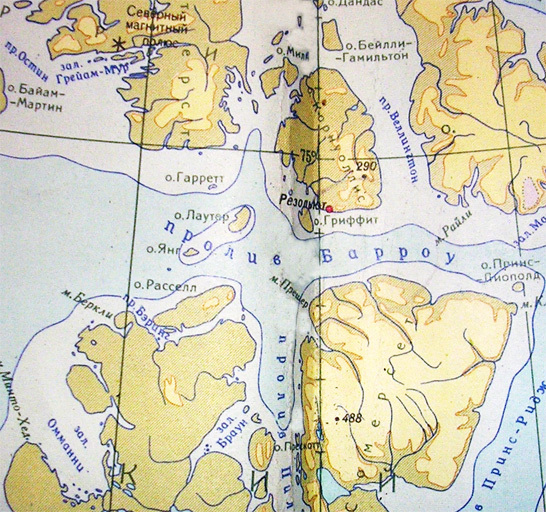 Opened in 1826 by navigator Elson from the expedition F. Beachy. 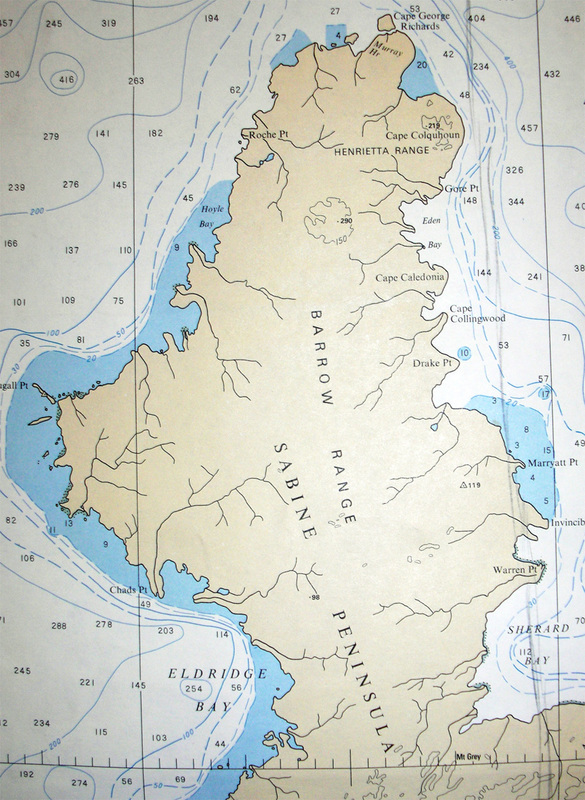 Cape (John Barrow) on the Darling Peninsula on the Ellesmere Coast of the Kane Basin. 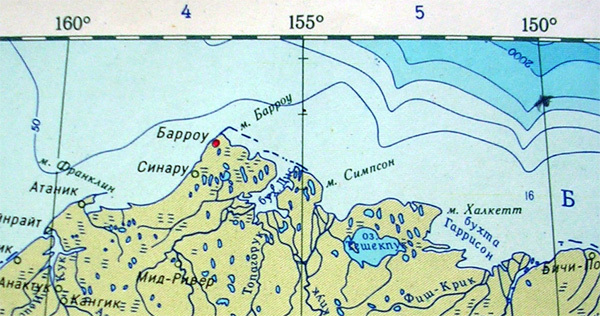 Cape in the coronation bay in northern canada. Named by J. Franklin in 1821. Mountain (Sir-John-Barrow-Monument) on the Grinnell Peninsula of Devon Island in the Canadian Arctic Archipelago. 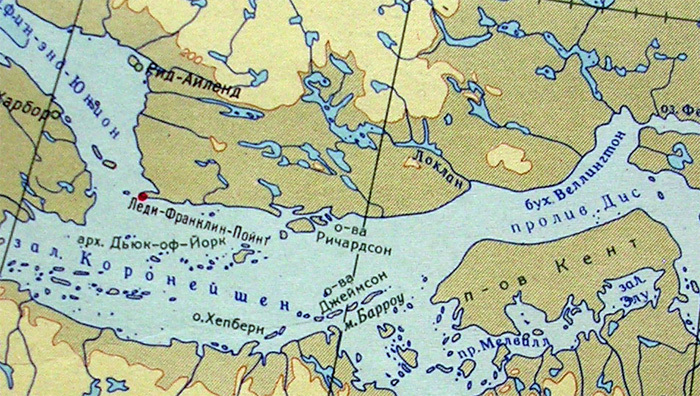 Lake on the Simpson Peninsula in northern Canada. River in northern Canada, which flows into Fox Bay. 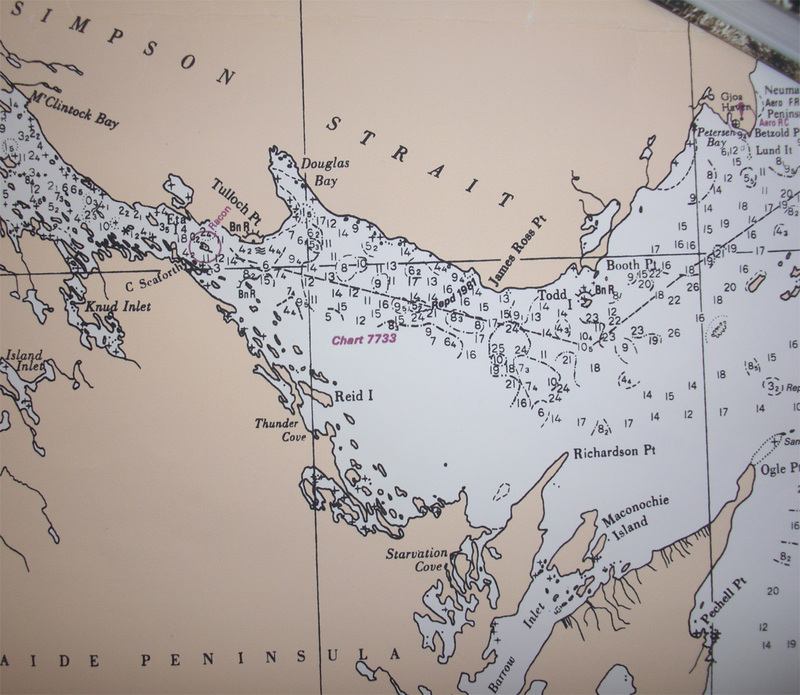 The Bay in Simpson Strait between the North American mainland and King William Island. Bay in the west of the Grinnell Peninsula of Devon Island in the Canadian Arctic Archipelago. 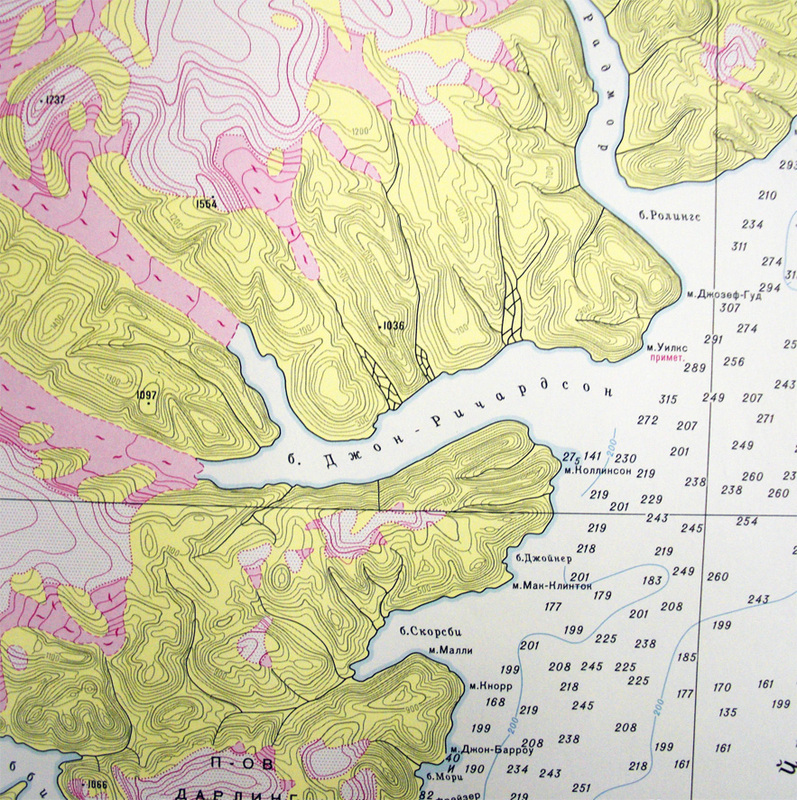 Strait between the islands of Somerset, Cornwallis and Devon. 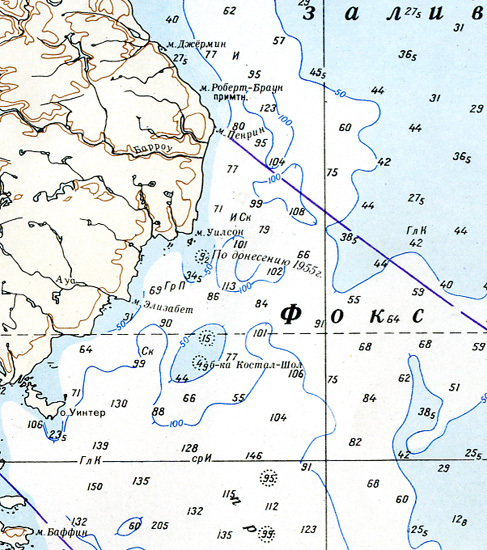 Opened and named in 1819 as an expedition on the ships Hekla and the Greiper.